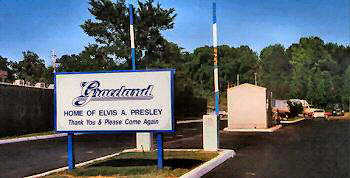 Graceland is a place I won't forget. My hat is off to the artist of this one, whoever you are! 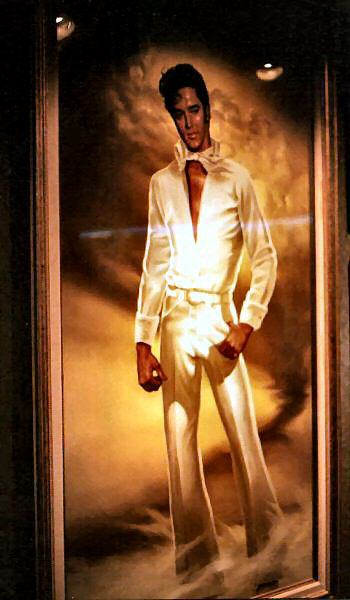 Elvis literally 'jumped out' at me from behind the glass in the museum . 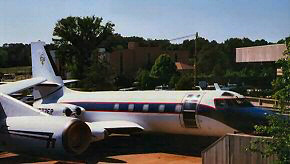 . .
Elvis purchased the plane on April 18, 1975, for $250,000. He named the plane 'Lisa Marie' after his daughter and had the registration number changed to 'N 880 EP'. His personal logo TCB (which stands for 'Taking Care of Business') is painted on the tail. Tower call name: "880 Echo Pappa"
Elvis called the plane "The Pride of Elvis Presley Airways." He also jokingly refered to it as his "Flying Graceland." 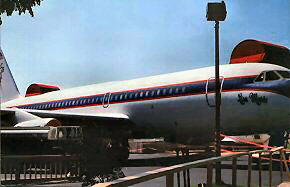 Tail height from ground: 36' 3"
Elvis' JetStar was nicknamed 'Hound Dog Two'. He purchased it in September, 1975, for $889,702. The JetStar is a 550 MPH, ten passenger aircraft which can operate from 5,000 foot runways. The airplane is 60.5 feet long, 20.5 feet high and has a wing span of 54.4 feet. 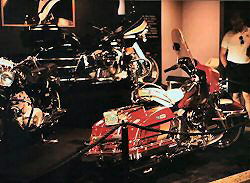 The registration number which Elvis requested was N777EP. Elvis' million dollar apartment in the sky. His motto, TCB (with the lightning bolt) is on the tail. of the most famous cars in existence! While I was wandering around the gift shops at Graceland, I came upon this man selling a book. He turned out to be the uncle of Elvis Presley, and we had the most wonderful visit. I bought his book and he signed if for me. In a way, Vester Presley knew his famous nephew better perhaps than Elvis knew himself. 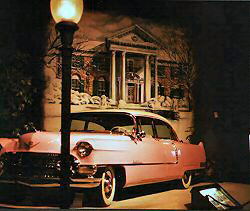 From his post at the front gate of Elvis' mansion, Graceland, Vester saw the singer in a family setting. Vester was the buffer between millions of fans and the object of their worship. This book is Vester's story. As a part of his nephew's humble beginnings, Vester tells of the family and the rural society that combined in a particular way to bring Elvis to the world. Hope you had a good time.. I know I did! Inc. © 1996 E.P.E., Inc.